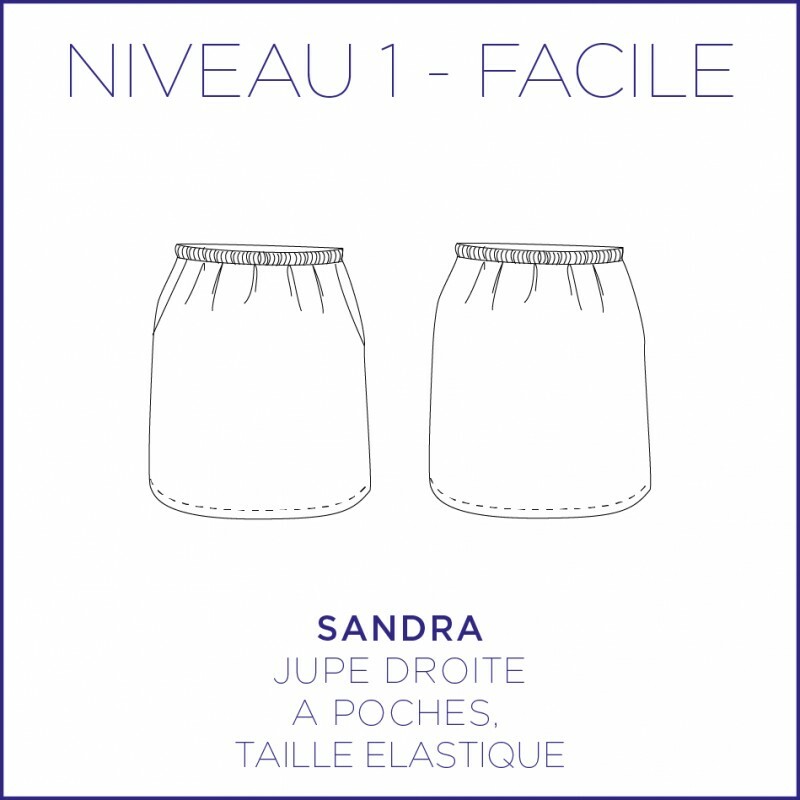 Sandra, is a skirt easy to wear and easy to do. 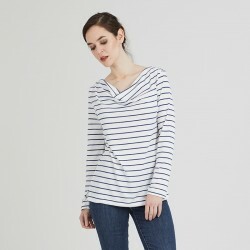 This model is ideal to start sewing clothes. Skirt easy to make and to wear. Skirt, above the knee, elasticated waist, with pockets. No zipper for easier realization. If you want to wear the skirt at mid-thigh, reduce the height of the pattern by 5 cm. Elastic : 3 cm wide and the length is your waist circumference. The ethnic version is a fabric found during my travels. The dark blue version is a polyester from Bennytex. The tartan version is a woolen from Bennytex. The version with flowers is a cotton from Frou-Frou. The leafy version is a jacquard from Fleur de Tissu.